12: Wings Aviation Academy is hosting a fly in at FAFO/Fort Beaufort Airfield on the 12th of November starting at 08h00. Viking Air Limited of Victoria, British Columbia, and Caverton Helicopters, based in Lagos, Nigeria, have signed an agreement for the purchase of a second Series 400 Otter aircraft to add to Caverton's existing fleet currently operating in western Africa. Caverton's second Otter Series 400 is scheduled for delivery in the first quarter of 2017, and will provide essential services in support of the company's contract with the Cameroon Oil Transportation Company (COTCO), a specialized joint venture created between Exxon Mobil, Chevron, Petronas, and the governments of Chad and Cameroon. Under the contract, Caverton Helicopters will utilize the Series 400 Otter for onshore pipeline surveillance and passenger transfer services for COTCO along the 1,070-kilometer underground pipeline route between the Doba oil fields in Chad to the offshore export terminal in Cameroon. "To have Caverton return to Viking to purchase a second Otter Series 400 is a testament to the quality of the aircraft and suitability for use in the harsh operating conditions of western Africa," said Peter Walker, Viking regional sales director, Africa, Middle East & Asia Pacific. He added, "After seeing four years of successful service from their first Viking aircraft, Caverton's confidence in the Series 400's ability to reliably operate has afforded them the opportunity to participate in such an important contract." Caverton Helicopters Limited was established in September 2002 as a charter, shuttle and maintenance company aimed at bridging the gap in the onshore helicopter service sector. Today, the company's focus is to render logistics and environment support services to Nigerian Oil and Gas producers, with broader support services offered to energy operations along the West African shelf. Caverton operates out of a 10,000 square meter facility at the Murtala Muhammad International Airport in Lagos, along with several purpose-built facilities in Victoria Island, Port Harcourt, Warri and Cameroon. Local Tecnam distributor Aerotec Argentina SA was awarded the contract to supply the Tecnam fleet to the Argentinian Air Force under a lease purchase agreement. The aircraft will be assembled at Aerotec Argentina S.A's Rivadavia, Mendoza Province facility under agreement with Costruzioni Aeronáutiche Tecnam SRL. The Tecnam P2002JF is a two-seat, single engine, low wing aircraft and is firmly established as one of world's most popular single engine aeroplanes and their aircraft of choice by so many Flight Training Organisations. Paolo Pascale, TECNAM Managing Director: "We are delighted that yet another Air Force is choosing Tecnam for its training. We are honoured by this choice and the Argentinian Air Force's appreciation of our commitment to the quality of our products and service." Diego Cardama, AEROTEC ARGENTINA Director. "This contract with Air Force is further proof of how well the low maintenance and operational costs and excellent handling and the many other Tecnam benefits are valued by our customers in Argentina." 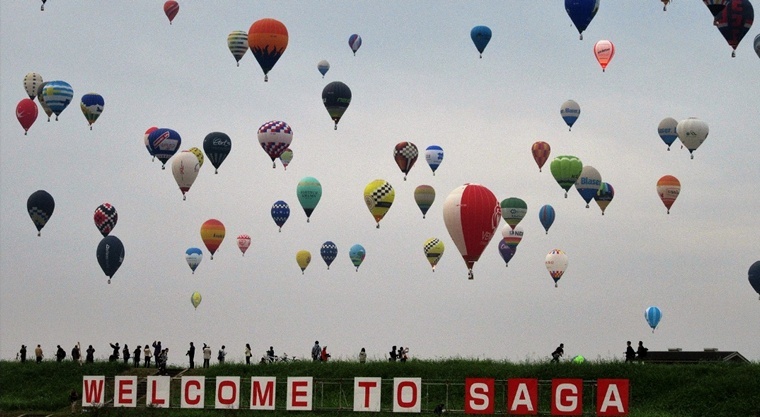 After ten days of competition at the 22nd FAI World Hot Air Balloon Championship in Saga, Japan, Rhett Heartsill bested 104 of the world's best competitors from 31 countries. The competition included nine flights and 31 tasks. First Rhett Heartsill (USA) , 2nd Rimas Kostiuskevicius (LTU).3rd Stefan Zeberli (SUI), 4th Nicolas Schwartz (FRA) and 5th Roman Hugi (SUI). Defending Champion Yudai Fujita (JPN) finished in 11th place with 21 638 points. 2014 and 2016 Women's World Champion Nicola Scaife (AUS) finished in 41st place with 17 612 points. Slovenian company Pipistrel announced that it has signed a Memorandum of Understanding for a long-term joint-venture cooperation in the field of light and general aviation in the regions of China, East Asian countries and Asian with Chinese company Sino GA Group Co. have signed. Mr. Ivo Boscarol, general manager of Pipistrel and Mr. Wu Guo Ying, chairman of the Sino GA Group Co., are signing the Memorandum. Pipistrel is a world leading small aircraft designer and producer, specialized in electric-powered aircraft. 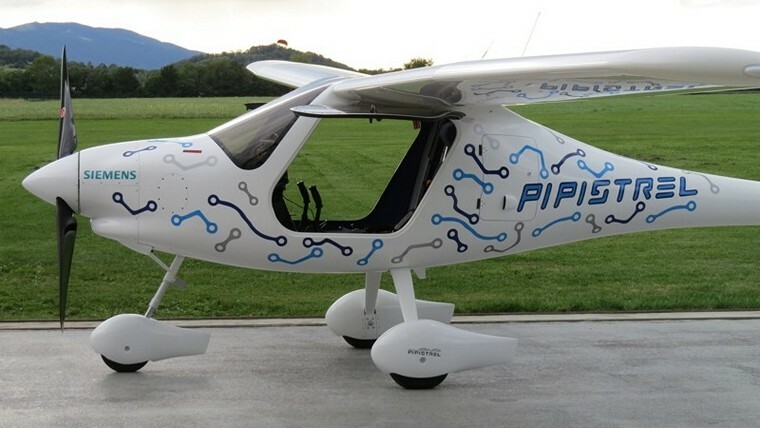 With more than a quarter of a century of tradition and with own intellectual property, Pipistrel which has gained significant international reputation and has presented in unique, innovative products. The combined value of the 7-years project (which will include building new centres with aircraft production facilities for both models, a runway, and a maintenance and training facility for both models in Taizhou, Zhejiang Province and Yinchuan) is more than 500 million EUR. Embraer Executive Jets today unveiled a new version of its Legacy 650 large business jet, the Legacy 650E. Featuring automation and technology updates, the aircraft, which already has exceptional operational costs and the largest cabin in its class, now carries an unprecedented 10-year or 10,000-flight hour warranty, which is the longest in the business jet industry. The entry into service is scheduled for 2017 at the list price of US$ 25.9 million. "As a testament to our confidence in the Legacy 650's heritage of robustness and near-perfect dispatch reliability, this new aircraft carries the longest warranty available in the business jet industry," said Marco Tulio Pellegrini, President & CEO, Embraer Executive Jets. "Whether for commercial or private operations, there is no large-cabin aircraft that is more economical, durable and comfortable. This is truly a well-rounded value proposition." With a restyled seat upholstery, the Legacy 650E's spacious cabin features three distinct cabin zones with ample privacy, plus the exclusive option for a separate crew lavatory in the forward cabin. Refinements to the aircraft fight deck include the Synthetic Vision System (SVS), as part of the latest Primus Elite Advanced Features (PEAF) from Honeywell, which also includes traffic collision avoidance system symbology and XM ground-based weather information to the moving map, providing pilots with enhanced situational awareness. In addition to the PEAF, the Legacy 650E also comes with autothrottle as standard equipment, improving the level of automation and reducing the cockpit workload. 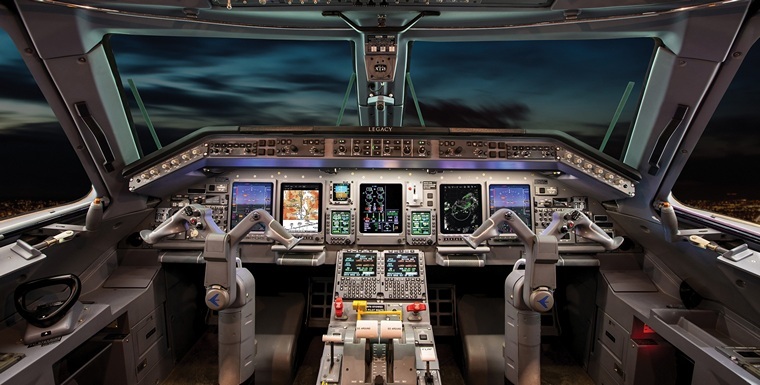 These technologies complement the proven Legacy 650E avionics system, which is compliant with all next-generation airspace mandates and requirements. Besides that, two iPads with mounting systems are available in the cockpit, enabling pilots to enjoy a friendlier interface, easier updates and a full range of other tools to support their operation. These features reduce cockpit workload and create a more intuitive environment with the technological conveniences that pilot's desire. Russian Helicopters, part of State Corporation Rostec, signed a marketing agreement with Hong Kong based Lakeshore International Aviation Co., Ltd at the China International Aviation Exhibition Centre in Zhuhai, China. According to the agreement, Lakeshore International Aviation Co., Ltd. becomes an authorized agent of Russian Helicopters for marketing and promotion of Russian made civilian helicopters in China. The companies already have a history of cooperation in the Asian helicopter market with joint research projects aimed at identifying most attractive regions for sales and consulting with regional operators of civilian helicopters in China and Southeast Asia. Ka-32 helicopters have been operated in China as firefighting helicopters for several years. They are based on a coaxial scheme and considered one of the best for urban firefighting, which is crucial for China with its highlands and modern metropolitan areas. Mi-171 helicopters also have been used throughout China for a long time for transportation and evacuations, as well as for transporting medical supplies, humanitarian aid and construction materials. A medevac Ansat will be shipped to China for the first time. South Africa, Clocolan: A SA Air Force (SAAF) Agusta A109 light utility helicopter of 87 Helicopter Flying School crashed in the Free State while on a night training flight. Three crew members aboard were taken to 3 Military Hospital in Bloemfontein. The extent of their injuries is not known. USA, Michigan: A mechanical failure is believed to have caused the release of six training bombs and a training missile from a military plane over Michigan's northern Lower Peninsula. The training weapons were on a plane heading to Camp Grayling from Selfridge Air National Guard Base in suburban Detroit when they fell off. The Michigan National Guard says the bombs and missile were found in a remote wooded area near Luzerne. the missile was non-explosive and the six training bombs can release smoke so that pilots can see where they land. No one was injured due to the release. Pakistan, Islamabad: A PIA Pakistan International Airlines Airbus A320-200, on a flight from Islamabad to Skardu (Pakistan), was climbing out of Islamabad's runway 30 when the crew stopped the climb at FL150 reporting a hydraulic failure and decided to return to Islamabad. The aircraft entered a hold while the crew worked the checklists and burned off fuel, the aircraft subsequently positioned for a landing on runway 30, touched down safely at 13:35L (08:35Z) but veered right off the runway and came to a stop with all gear on soft ground. There were no injuries, the aircraft however received foreign object damage to one of the engines. Jean Gardner Batten CBE OSC (15 September 1909 - 22 November 1982) was a New Zealand aviator. 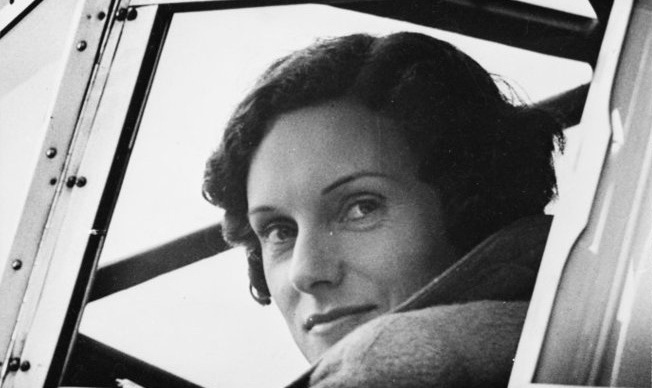 Batten became the best-known New Zealander of the 1930s when she in 1936 made the first-ever solo flight from England to New Zealand. 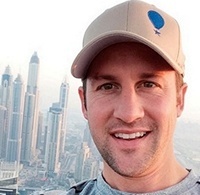 Batten also undertook a number of record-breaking solo flights across the world. Batten studied ballet and piano in Auckland but after having been taken for a flight by Australian Charles Kingsford Smith in his Southern Cross she decided to become a pilot. In 1929 she and her mother moved to England where she joined the London Aeroplane Club where she took her first solo flight in 1930 and gained private and commercial licences by 1932. 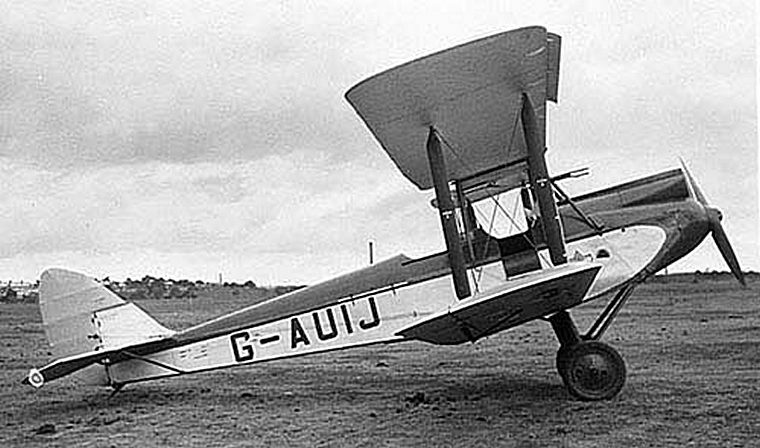 In December 1932 she borrowed £400 that she used to buy Batten a Gipsy Moth biplane. Batten made two unsuccessful attempts to beat Amy Johnson's time to Australia. In April 1933 she hit two sandstorms before the engine failed, and wrecked the aircraft. In 1934 with sponsorship of £240 from the Castrol oil company she bought a second-hand Gipsy Moth for. This time she ran out of fuel at night on the outskirts of Rome and flew into a maze of radio masts. The plane was repaired and she flew it back to London. In May 1934, Batten successfully flew solo from England to Australia in the Gipsy Moth. Her trip of 14 days and 22 hours beat the existing England-to-Australia record of English aviator Amy Johnson by over four days. Batten then bought a Percival Gull Six monoplane in which in 1935 she flew solo from England crossing the South Atlantic landing in Brazil 11 November 1935. Batten was awarded with the Order of the Southern Cross, the first person other than Royalty to be so honoured.